Are you interested in immigration to Australia? If yes, this news report is especially for you! According to a report, Malcom Turnbull, the in-office Australian Prime Minister, has revealed a 1 billion dollar plan to promote greater innovation throughout the nation. The move is allegedly tailored to boost the national economy in a segment that has infinite potential, and to cut down the Australian dependence on finite streams, like mining. The proposal, which is to be duly started in 2017, is targeting the know-how and ideas of the overseas manpower, innovators and entrepreneurs. The plan of the administration comprises the launch of a new Entrepreneur Visa and greater possibilities for trained graduates to get the prized Permanent Residency (PR) status. The planned Entrepreneur Visa will enable those having innovative ideas to gain PR in Down Under. With a view to become qualified for the specific visa, it is mandatory for the aspirants to begin a flourishing business, have support from a third party, and establish that their idea is feasible. In order to further push the bid for fresh ideas, a corridor to the PR will also be formed for postgraduate students in the STEM domains–Science, Technology, Engineering and Maths–and the ICT business. Graduates, having these particular qualifications, will receive augmented points in the Points Test for Skilled Migration. The exhilarating news is unquestionably just the beginning of numerous improvements to the immigration arrangement, with Canberra pretty resolute to reinvent itself on the international platform. Make the most of it! 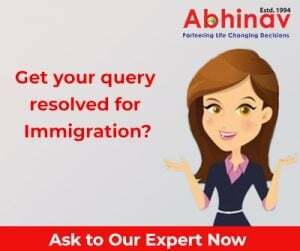 Get in touch with us for an evaluation of your eligibility for a visa for Australia immigration now!